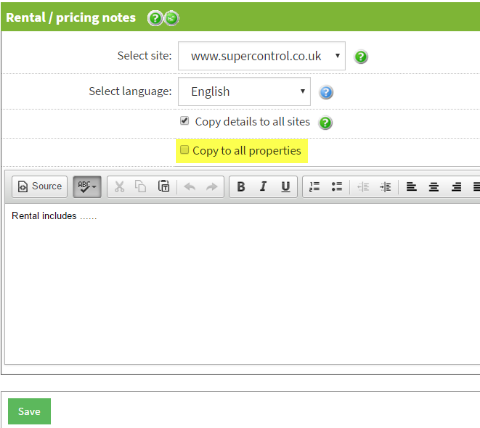 Help CentreUsing SuperControl Managing bookingsHow do I add rental notes to the booking process? You can add notes to your online booking process to inform guests of what is included in their rental (eg fresh towels and linen, logs for the fire etc). This tells the guest what you provide, and helps them decide what they need to bring with them. Note: This text also displays on the guest’s booking summary email so they can refer to these notes after they have booked. 1. Go to Properties > Edit > select property > Options/Extras > Go. 2. Enter text within the “Rental/pricing notes” field. If you wish to copy this text to all your other properties, tick the box highlighted below and then click Save. 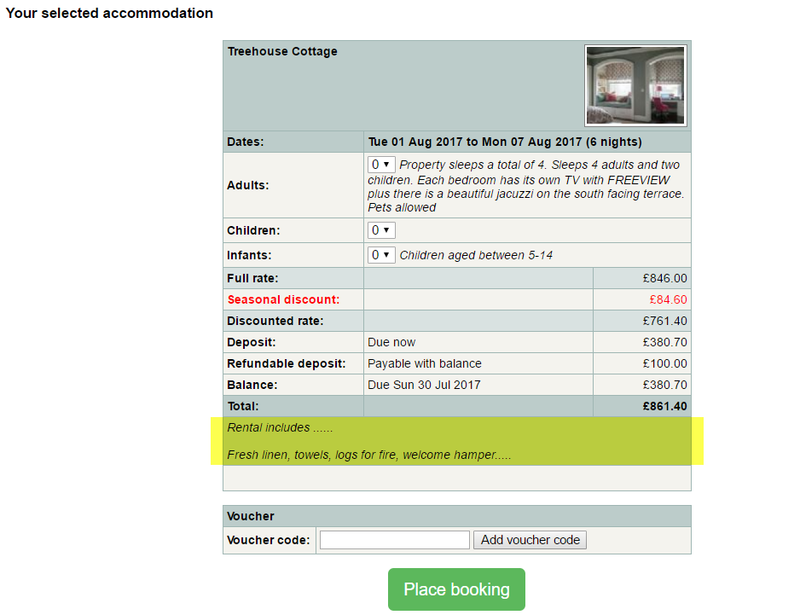 Prev: How do I reinstate a cancelled booking? Next: How do I access the payment reminders page?